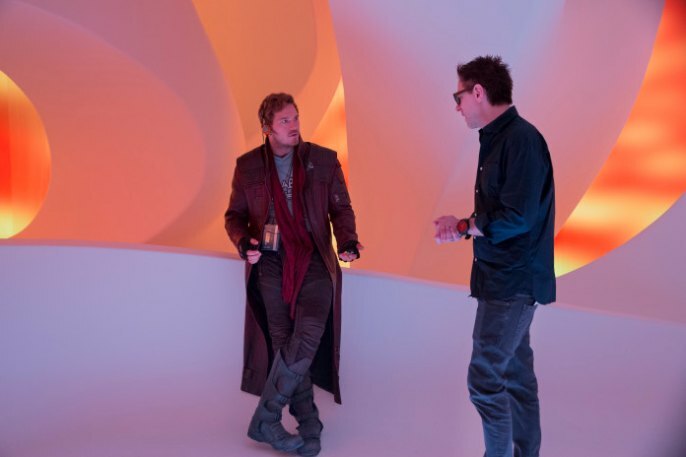 After all of those experiences, we then sat down for an interview with Director James Gunn and then headed to one of the stages to watch them film a scene of the movie!!! 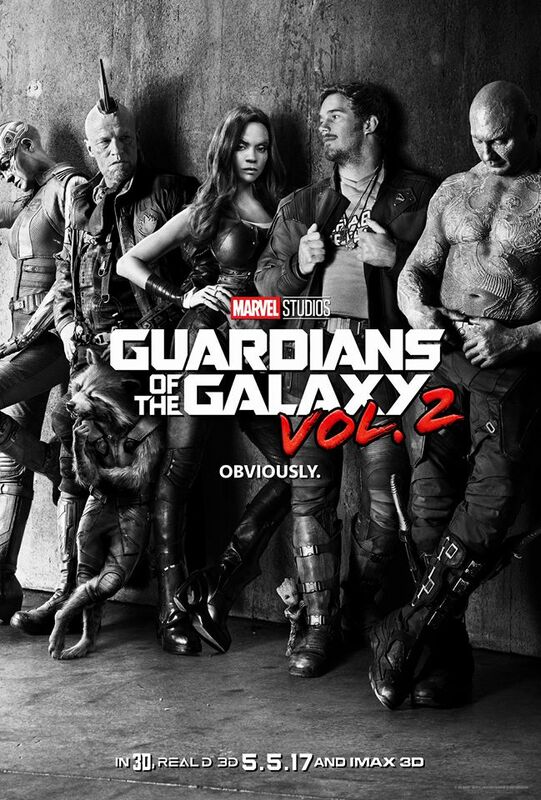 So, if it wasn’t clear already, Director James Gunn definitely has an amazingly quirky, creative, genius mind!!! He wrote the script for both Guardians 1 and 2. In fact, we learned from James that he started writing the script for Vol. 2 the DAY the Guardians 1 hit theaters (he said he “had to do something to pass the time”). Ha! And, he apparently already has TONS of ideas for Guardians 3, 4, 5, etc and even spin-off stories for individual characters. But at this point, he doesn’t know where that will go or if he’ll be the one to do any of that or not. 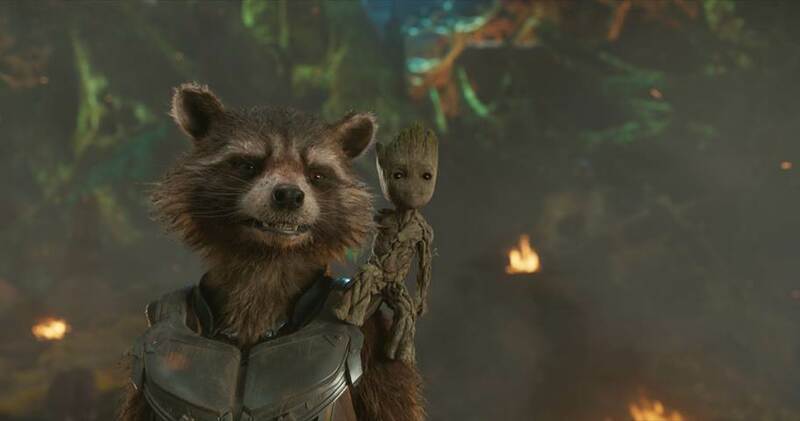 We also learned that his favorite character is still Rocket, but that Baby Groot is gonna steal the whole movie. Which doesn’t surprise me as he’s just SO cute! And, as just about all of the actors we interviewed also said, music is key to this film. James shared that it is VERY important, playing an even bigger role in this movie than in the 1st movie. Really, he sees it as the character of Peter Quill’s mom – it’s how she’s kept alive. It’s also an emotional connection and an earthly connection. 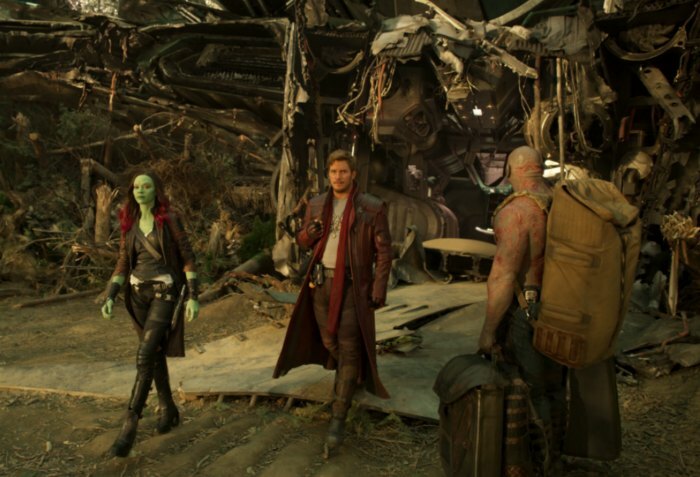 We also talked some about the message of the Guardians movies. You can tell that James really LOVES the messages that the 1st film sent about outsider/outcasts (with people looking different, having different backgrounds, feeling different, etc.). And, then in this movie especially, there will definitely be more about non-traditional families. The Guardians have really created their own family of friends; Peter Quill has an adopted father and a biological father, etc. He had to get going to do some directing and actually make a movie. So, we then got to go watch the process and it was SO cool! And, what’s extra cool is I have some shots to share from part of the overall scene we got to watch. 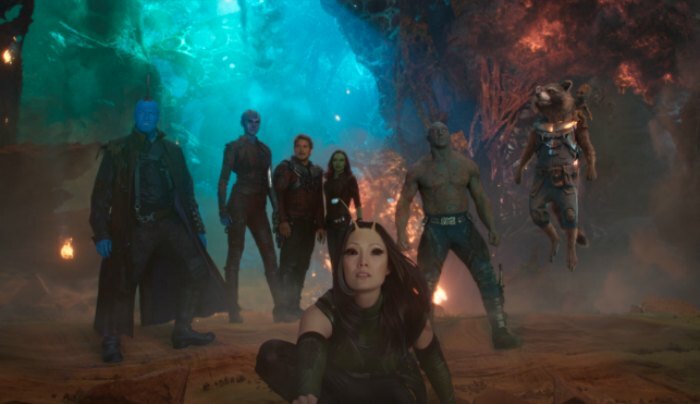 It was a sequence with the majority of the film’s main stars – Drax, Mantis, Peter Quill, Nebula, Gamora, and Yondu. 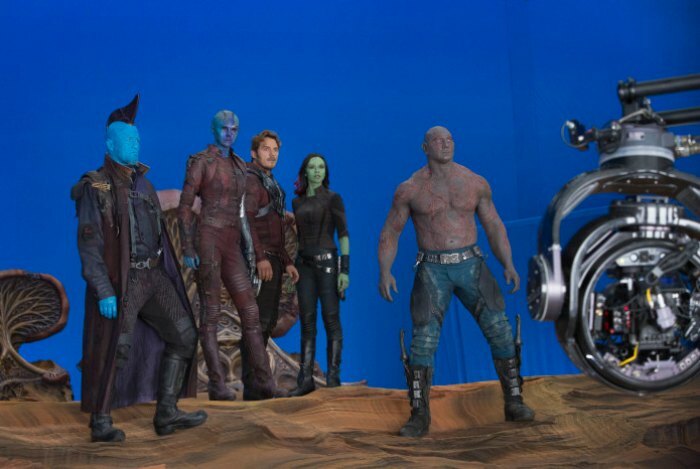 This scene was on a planet that had a physical base for the actors to stand on with just a few design elements, then everything else will be filled in with CGI. The actual set that the actors were on was a GIANT chunk of styrofoam that was carved out to look like the basic landscape and then painted. Crazy! Everything else around that (on ALL the walls from floor to ceiling) was blue screen with letter markings to help the visual effects team. Crazy! As you can imagine, there is a LOT of blue screen work with a movie like this! 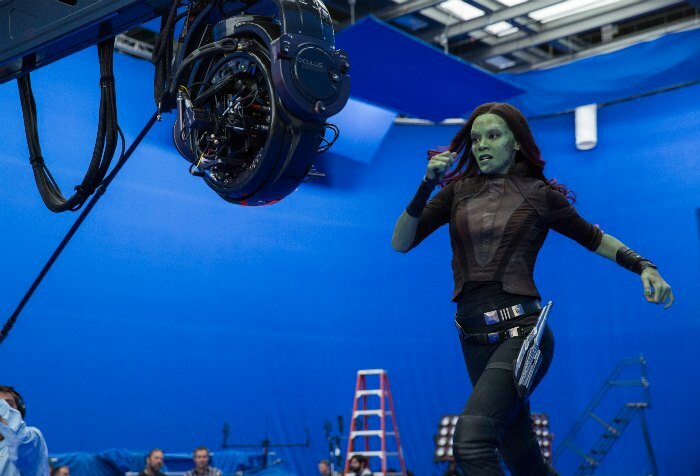 In fact, while this scene was being shot on one set, Kurt Russell was on a different set – one that was ENTIRELY blue (blue screen – surround and a blue base to stand on) shooting a scene. We interviewed him there (and I can’t wait to share the details of that surreal experience with you – but we can’t do that just yet! 😉 ). So, here we are, off to one side of the scene and we got to watch the whole process – and WHAT a process it is!!! Chris joked in our interview that his day is mostly waiting with a little bit of work….and WOW…so true. HA! The film makers had to get all the wire rigging fixed & set first. While they did this – there were different stand-ins for the actors. Their job title is truly quite descriptive – they literally just stand on the actor’s mark so the film-makers can get lighting, camera placements, etc. all in the correct place. Next, the actor’s stunt doubles came in to rehearse the wire parts (to make sure everything was safe and working well). Once all of that is done, then the lead actors came in to take their spots. And it was SO fun when the actors came in! Every single actor that had a eye-line to us acknowledged us! How amazing is that?! In all the interviews, the cast ALL said that it’s a GREAT working environment – everyone is like family, nice, friendly, etc. And it REALLY showed during shooting. Chris gave us a nod with a big thumbs up, then a wink. Zoe gave us a big smile and enthusiastic wave, as did Nebula. Michael Rooker gave us a wave at one point and then also asked if we were having fun during a cut while waiting for the next take. They ALL made us feel welcome and seemed SO down to earth and cool. You can tell they really genuinely do have GREAT chemistry. We watched them do about 3-4 takes of the scene (each of which was may be all of about 5-10 seconds long. Lol!). As soon as they cut each take, the actors quickly went back to palling around with each other. There was laughing, some singing, even a little hint at some dance movements. At one point Nebula and Yondu even broke into a little, “mama said there’ll be days like this” song! Chris & Zoe were talking & joking around with each other. 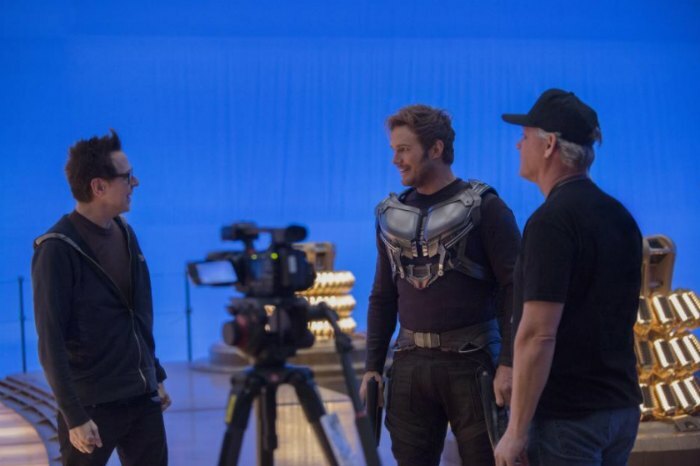 Right before they director would start rolling, Chris would amp everyone up by loudly setting the scene. So fun! It was really neat to see the process! And I can’t wait to see the whole finished product when Guardians of the Galaxy Vol. 2 hits theaters on May 5, 2017! !